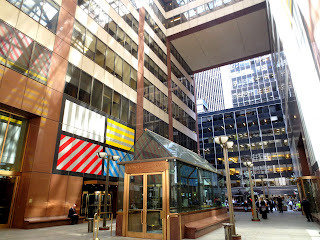 6 1/2 Avenue - a new name on the map of New York, Midtown shortcut and a rain shelter. The street layout of Midtown Manhattan is simple : it is a grid. 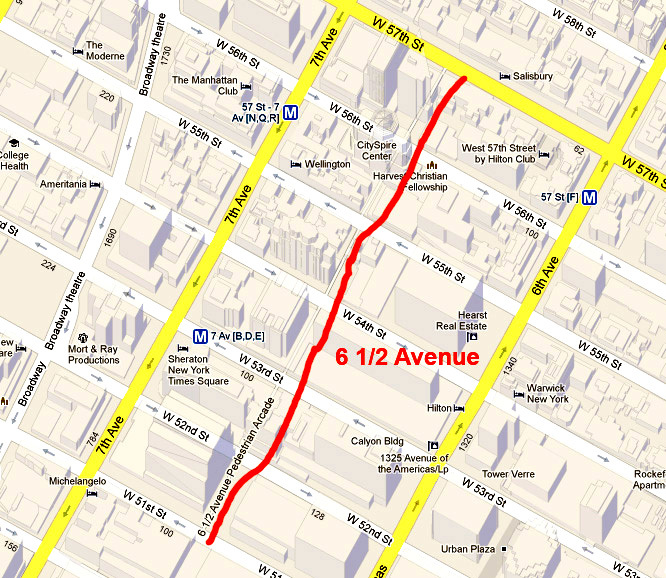 The main avenues are numbered 1 - 11 with 1st being on the East Side starting at the East River. This grid became a little more flexible less than a year ago- a new pedestrian mini- avenue with a name 6 1/2 appeared on the Map of New York. In 1961 Zoning Resolution inaugurated the incentive zoning program in New York City. 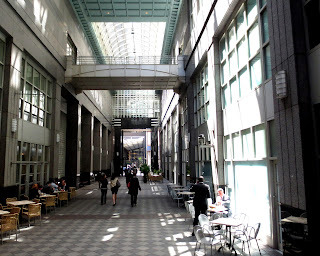 The program encouraged private developers to provide spaces for the public within or outside their buildings by allowing them greater density in certain high-density districts. 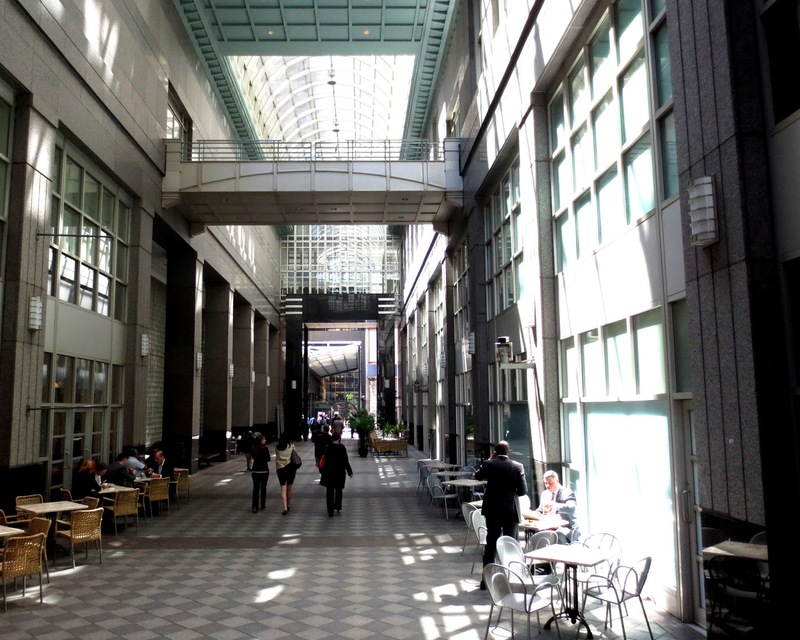 In the decade and a half that followed, 70 percent of the buildings that qualified to earn a bonus took the incentive—some 67 buildings between 1966-1975. In exchange for creating a through block arcade, for example, developers received six square feet for every square foot of public space. The City’s longest chain of arcades includes six blocks between 51st and 57th streets, between Sixth and Seventh Avenues. Most of these arcades were constructed after the 1986 rezoning of Midtown which required new mid-block developments to provide more spaces for the public. In August 2012 the NYC Department of Transportation completed a plan to improve the accessibility and visibility of the chain by installing crosswalks and street signs. 6 1/2 Avenue was officially born. 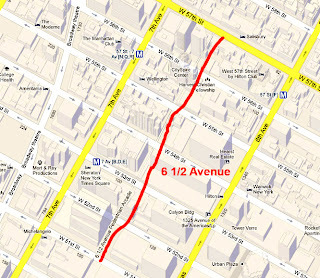 This avenue starts from AXA Building at 787 Seventh Avenue, between 51st and 52nd. This arcade connects two streets while also inviting people to look around or sit down. 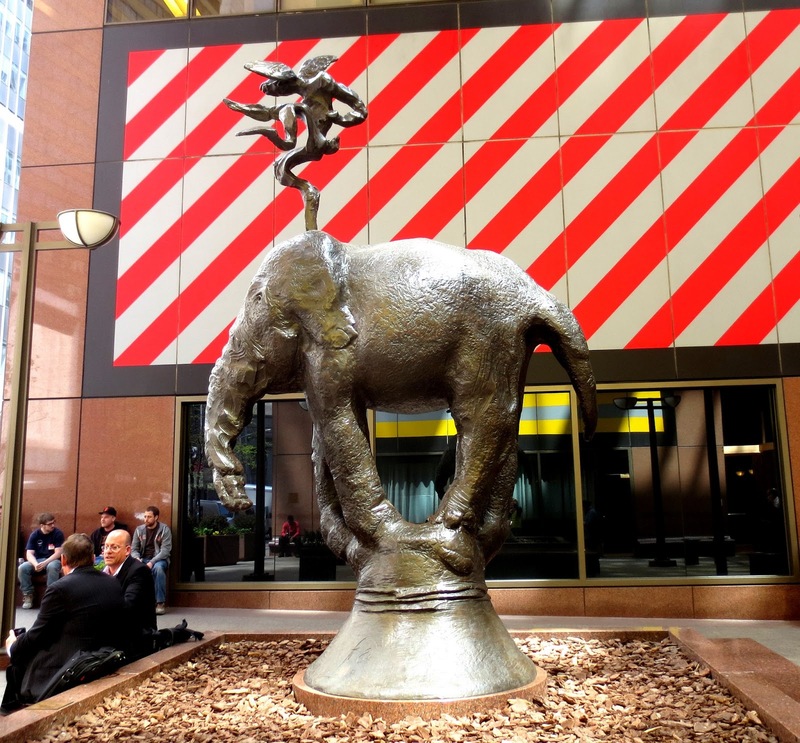 There are two sculptures of English sculpture Barry Flanagan at the both ends of this block- Hare and Elephant. The arcade at 146 West 57th Street is the end of the 6 1/2 Avenue chain. 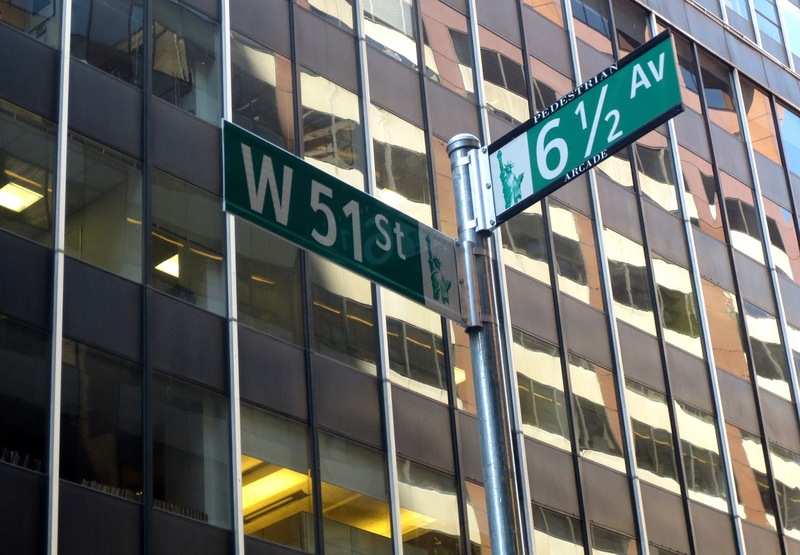 It provides direct access through the block to 57th Street. 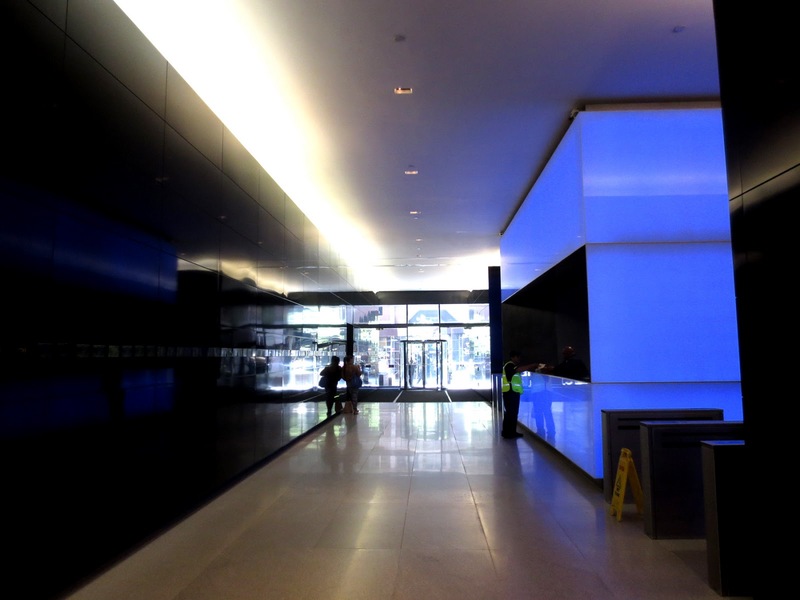 This is the lobby of Metropolitan Tower and has a security guard and doors at either end. The best thing of this new avenue is that on a rainy day you not need umbrella! Antoine de Saint-Exupery, the author of "The Little Prince", in New York. 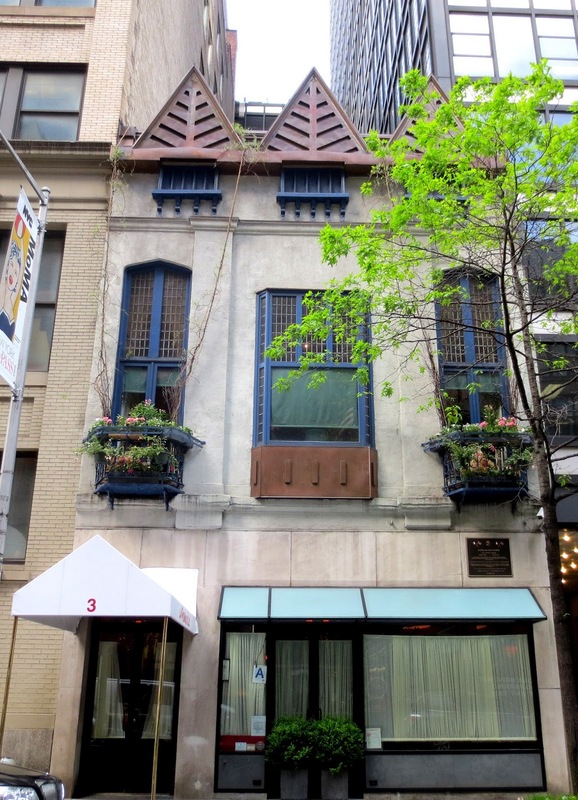 This charming building with blue trim, and over-flowing window boxes sits on East 52 just less than a half-block from 5th Avenue. 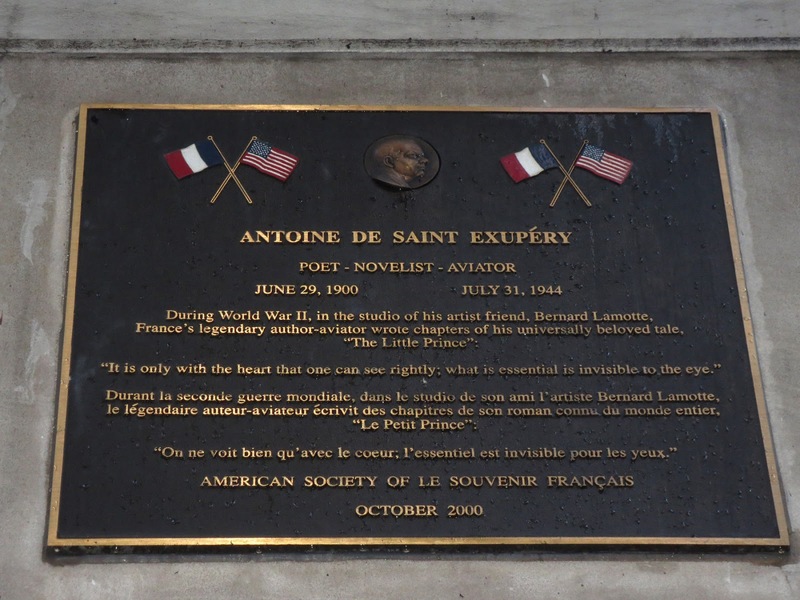 There is a plaque on the building that says that several chapters of “The Little Prince” by Saint-Exupery were written in a studio on the second floor. On the ground floor of the building was “La Vie Parisienne” (The Parisian Life), a French restaurant. Today restaurant “La Grenouille” occupies the first and the second floors – you can book upstairs lovely semi-private area. Antoine de Saint-Exupéry (29 June 1900 – 31 July 1944), was a French aristocrat, writer, poet, and pioneering aviator. 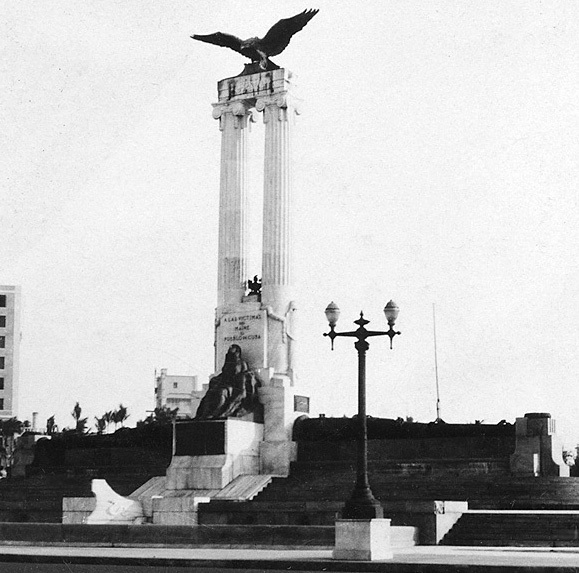 He had been working in Argentina as a director of the airmail Argentina airline- this period of his life is briefly explored in the first 3-D IMAX fiction film “Wings of Courage". Saint-Exupéry won the U.S. National Book Award for his book memoir “Wind, Sand and Stars”, that he was able to receive a year later, in 1941 here in New York , in the hotel Astor. 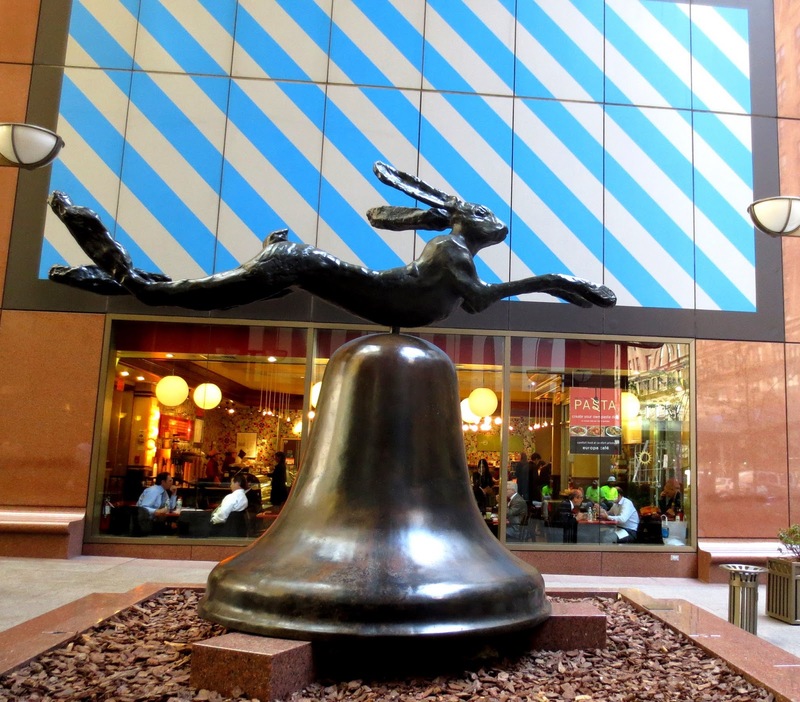 The hotel was on Times Square and was turned down in 1967. The French and English versions of this book were different. The author removed sections from the French and added new material specifically written for American readers. In 1940's the studio on the second floor was a place where Paris-born artist Bernard Lamotte lived. LaMotte attended the Art school at the Sorbonne, Paris where he met Antoine de Saint-Exupéry . In 1932 the artist moved to New York City. This studio, called ”Le Bocal” (“The Fishbowl”) was one of the places where the famous French writer Saint-Exupéry worked on “Le petit prince” (The Little Prince”). Saint-Exupery sailed from Lisbon to New York on the last day of 1940. 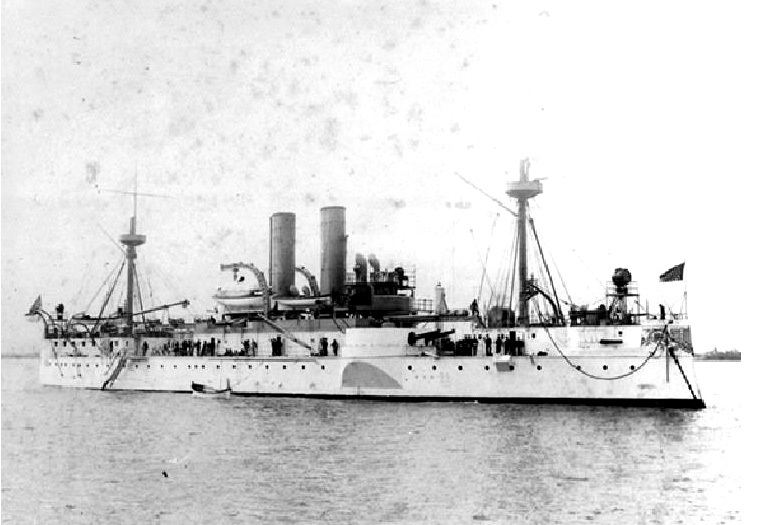 He planned to stay in New York for four weeks but remained for more than two years. He had travelled there on a personal mission to persuade its government to quickly enter the war against Nazi Germany. The writer was isolated by his inability to speak English and had little news of his family or friends. He survived a number of airplane crashes in the previous 20 years and his health was poor. 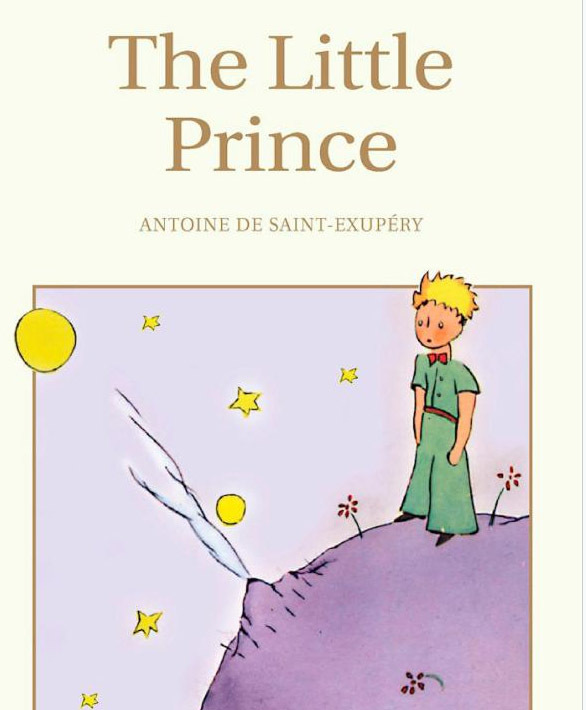 Saint-Exupery wrote and drew "The Little Prince" during the second half of 1942. The writer had for years sketched the little figure on letters, manuscript pages and restaurant tablecloths. This novel, beginning with a crash of a plane in the Sahara desert in 1935, in is based on his own experience. On the fourth day after the crash, Bedouin on a camel saved him from the dehydration. The novella is the most read and most translated book in the French language, and was voted the best book of the 20th century in France. It was translated into more than 250 languages with sales more than 140 million copies. “Le petit prince” is one of the best-selling books ever published. The original autographed manuscript of The Little Prince are in The Morgan Library & Museum, in Manhattan, New York City. Only weeks after his novella was first published in April 1943 the author-aviator joined the Free French Forces - the resistance organization founded by Charles de Gaulle in 1940 in London. Some of Saint-Exupéry philosophical writings were created during his lonely flights – he often took a notebook with him. Saint-Exupéry took off in an unarmed P-38 on his last spy mission from an airbase on Corsica and did not return. An unidentifiable body wearing French colors was found several days after his disappearance and buried in Carqueiranne in September. In September 1998 a French fisherman found a silver identity bracelet with the names of Saint-Exupéry and of his wife Consuelo. In May 2000 diver found the partial remains of a plane near to where the bracelet was previously found. After a two-year delay imposed by the French government, the remnants of the aircraft were recovered in October 2003. In June 2004 the fragments were given to the Air and Space Museum in Paris, France. This “ambassador” was almost too busy to speak to his inquisitive interlocutor, saying he’s looking, in vain, for a missing six-letter word. 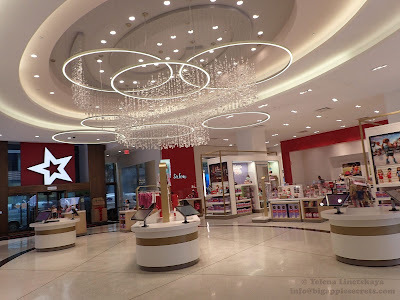 Every day more than 400.000 people visit the center of the center – Times Square in New York. And every midnight for three minutes Crossroads of the World is converted into movie theater featuring a film "Times Square Moment: A Digital Gallery ". Every show begins at 11:57pm with a "countdown" that signals the start of the 3 minute nightly presentation. Content changes monthly; selected works are announced in the weeks preceding the start of a new show as are the exact signs participating in that month's selection. 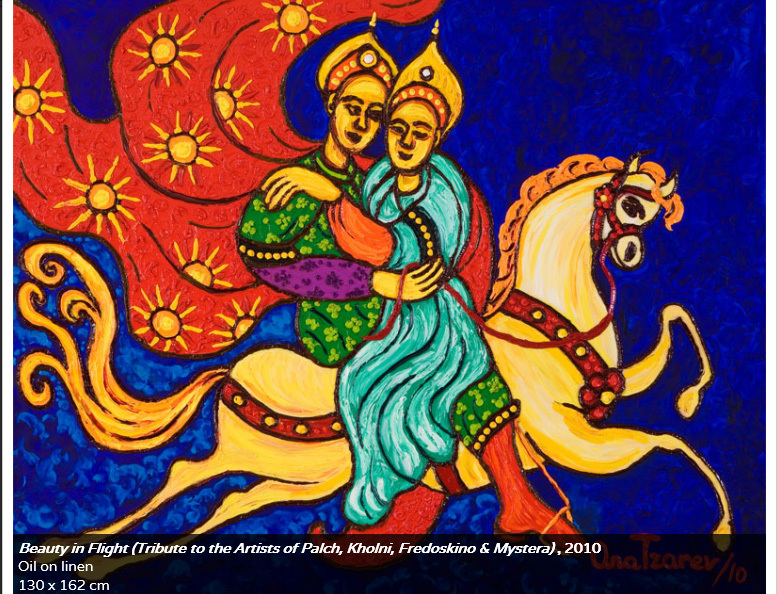 This film uses footage from the documentary film, “INSIDE OUT: THE PEOPLE’S ART PROJECT”, which premiered at the Tribeca Film Festival on April 20th. 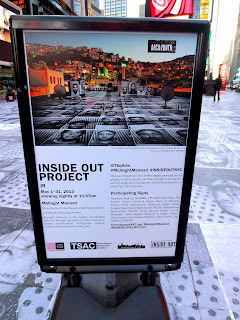 "Inside Out Project" is the international art project that allows people to get their picture taken and paste it to support an idea and share their experience. The images were uploaded digitally and printed as posters. As of March 2013, over 130,000 people from more than 100 countries have participated. All five boroughs of New York are involved in this project: The photo booth truck made visits to the Bronx, Staten Island, Queens, and Brooklyn. 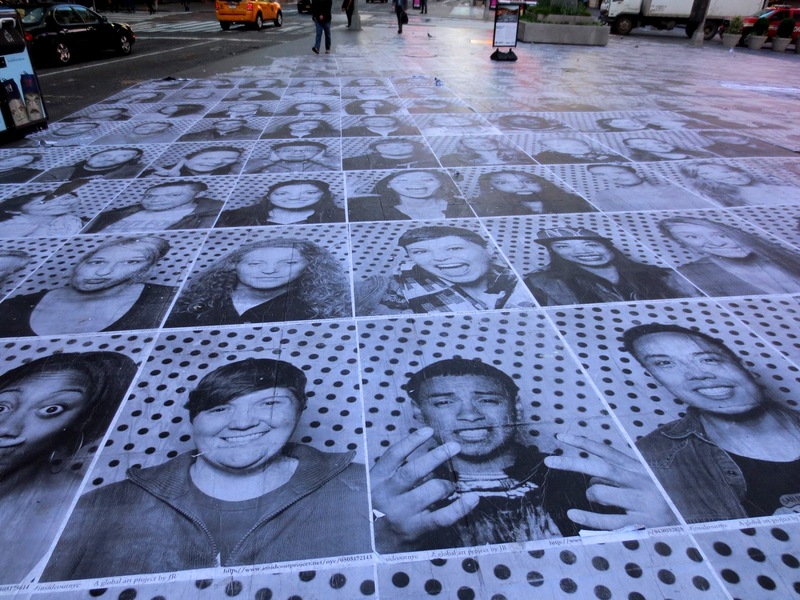 The Inside Out Project was launched in 2012 by the young ( 32 years) French artist JR whose identity is unconfirmed . JR began his career as teenage graffiti artist , then he documented the process of graffiti painting. When he was 17 he began applying photocopies of these photographs to outdoor walls. Between 2004 and 2006, JR created Portraits of a Generation, portraits of young people from the housing projects around Paris. In 2007, JR put up photos of Israelis and Palestinians face to face in eight Palestinian and Israeli cities on either side of the Separation Barrier. The Times Square Advertising Coalition (TSAC) is a trade association of businesses involved in the outdoor sign industry in Times Square. 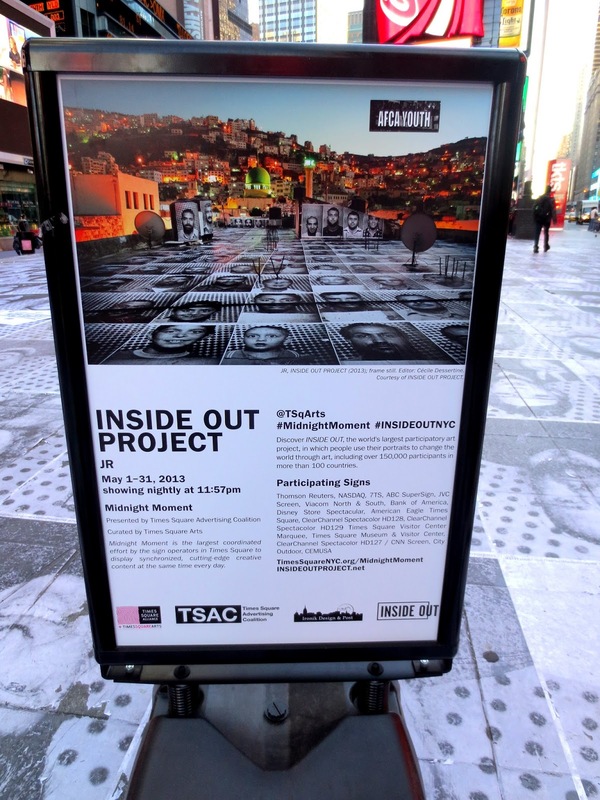 The public arts program of TSAC presents Midnight Moment: INSIDE OUT PROJECT on Times Square by anonymous French artist JR.
JR stated: "I wish for you to stand up for what you care about by participating in a global art project, and together we'll turn the world inside out." In September 2012, 78,602 photographs had been printed as posters for 4,456 projects in 9,564 different locations worldwide. If you google “I love big Apple” you can see that the set of results is mostly not about the orchard garden or apple pies. It is about New York. The exact origin of this nick name is unknown. According to Barri Popik, American etymologist and an expert on the origins of the terms "Big Apple”, the first time this name was popularized as a column header in the newspaper “New York Morning Telegraph”. John J. Fitz Gerald, a sports writer ,wrote about horse races . Fitz Gerald named his racing column "Around the Big Apple." 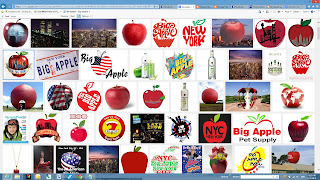 He wrote: “The Big Apple. The dream of every …and the goal of all horsemen. 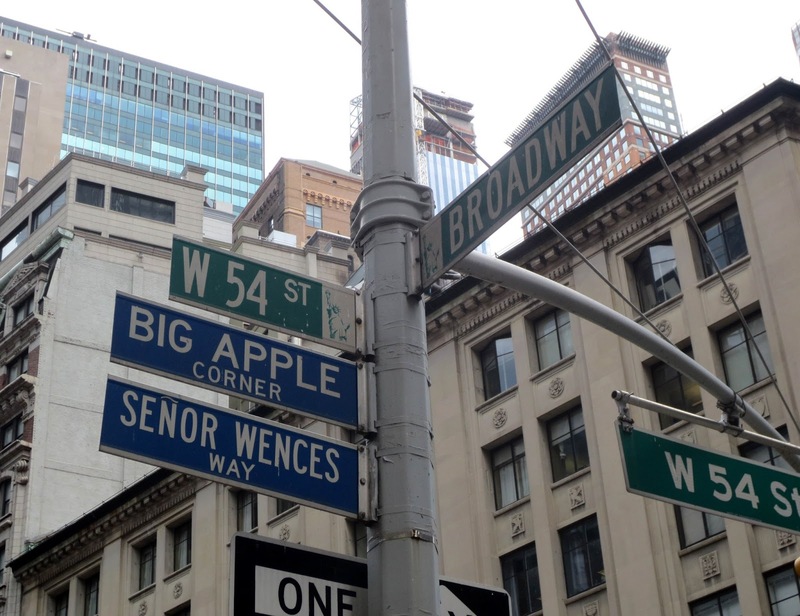 There’s only one Big Apple. 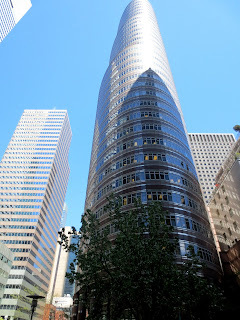 That’s New York.” This name was almost forgotten till the beginning of 1970s. Charles Gillett, the president of the New York Convention and Visitors Bureau at that time, was responsible for "Big Apple" campaign that revived the nickname. 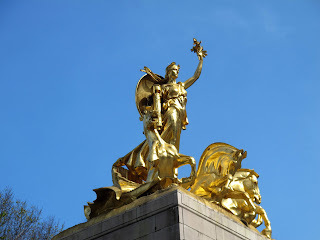 Gillett worked for the bureau for more than 40 years and was it's president from 1964 until he retired in 1988 and helped to plan such tourist events as the 100th anniversaries of the Brooklyn Bridge and the Statue of Liberty. This campaign played a very important role and it put a brighter image on a city. New York Times wrote in March 27, 1975 "Three years ago the bureau began passing out small Big Apple stickers …. 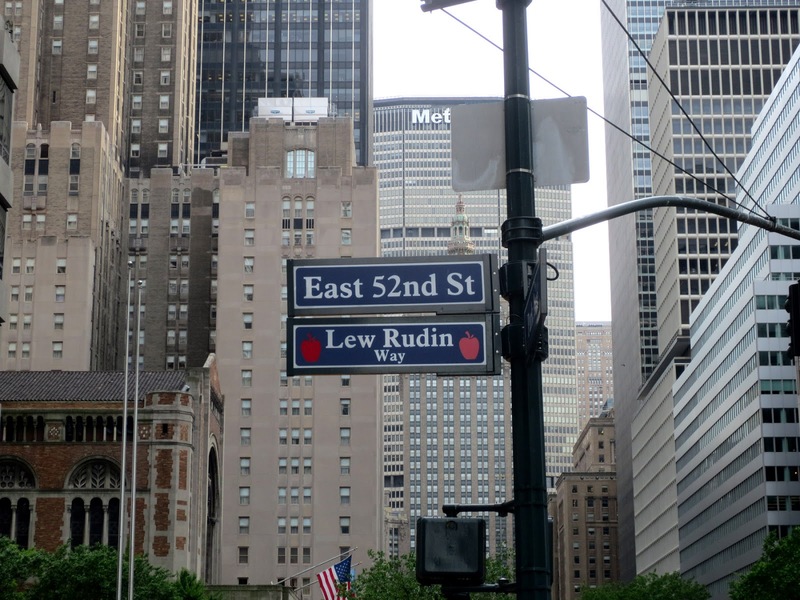 Mr. Rudin, who is chairman of the Association for a Better New York, has given away about 4,000 cloth Big Apple stickers, in the three-quarter-inch version that sells for 10 cents a sticker." 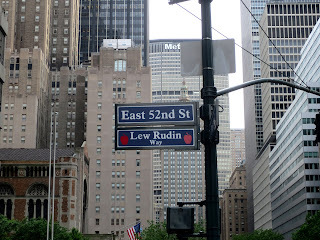 "Lew Rudin Way" was dedicated in 2002 for East 52nd Street, between Park and Lexington Avenues. There are apples on both sides of the name on the street sign. 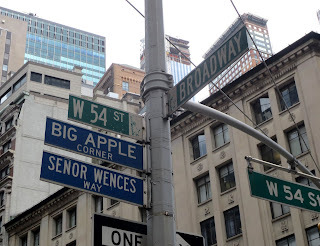 The southwest corner of West 54th Street and Broadway, the corner on which John J. FitzGerald resided from 1934 to 1963, was named "Big Apple Corner." by Rudolph W. Giuliani in 1997. "John J. FitzGerald, born in 1893, was a horse-racing writer for The Morning Telegraph in the 1920's and was the first to popularize the term "The Big Apple." While on assignment in New Orleans, FitzGerald overheard African-American stable hands refer to New York City race-courses as "The Big Apple." 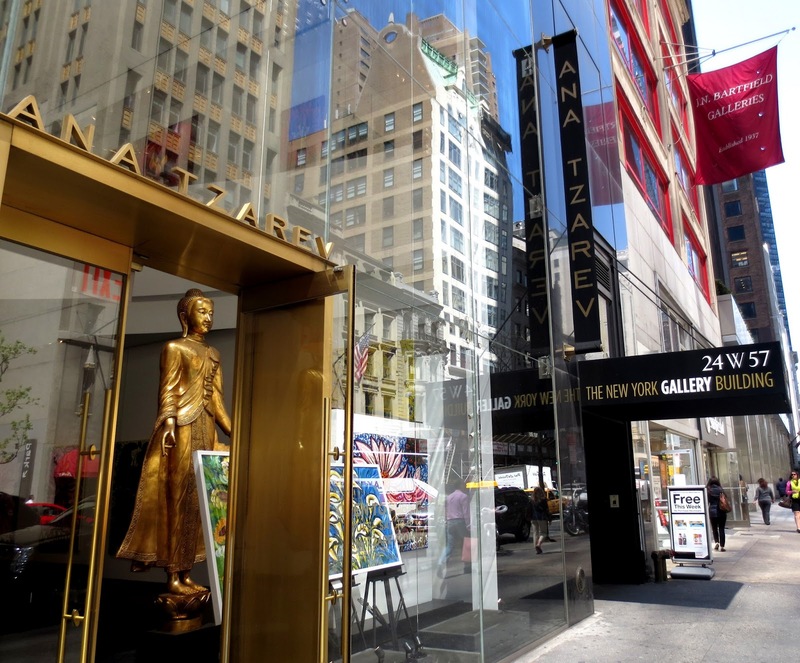 FitzGerald loved the term so much that he named his racing column "Around The Big Apple." The title to the column became synonymous with the New York City racing scene. A decade later many jazz musicians began calling the City "The Big Apple" to refer to New York City (especially Harlem) as the jazz capital of the world. Soon the nickname became synonymous with New York City and its cultural diversity. 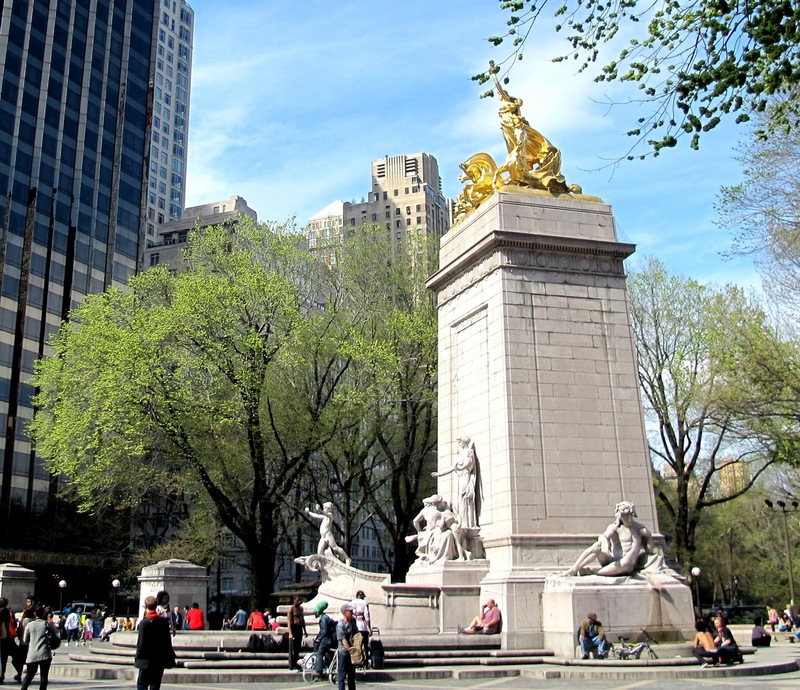 In the early 1970's the name played an important role in reviving New York's tourist economy through a campaign led by the New York Convention and Visitors Bureau. 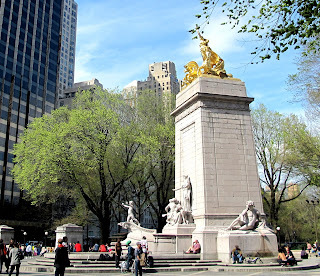 Today the nickname "The Big Apple," which replaced "Fun City," is the international description of our city and is synonymous with the cultural and tourist attractions of New York City." 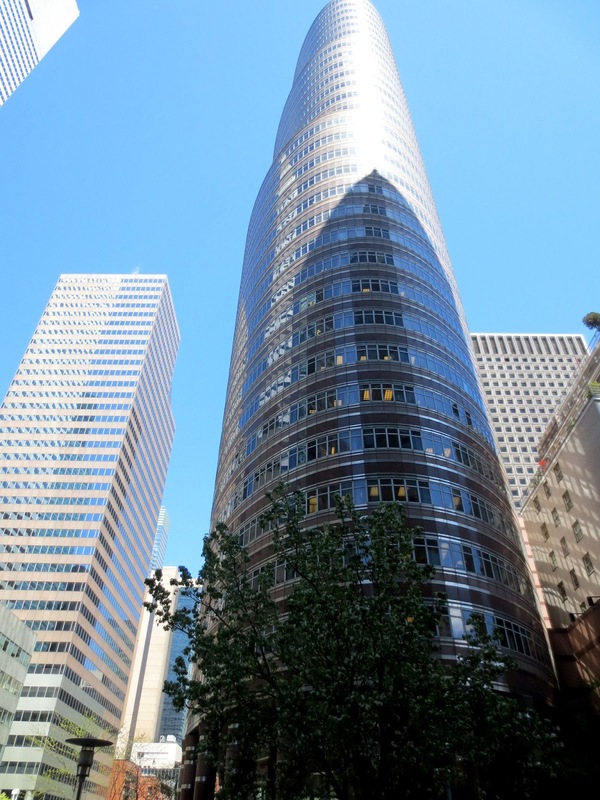 The tower on 53rd at Third has a nickname "Lipstick Building" for its shape. 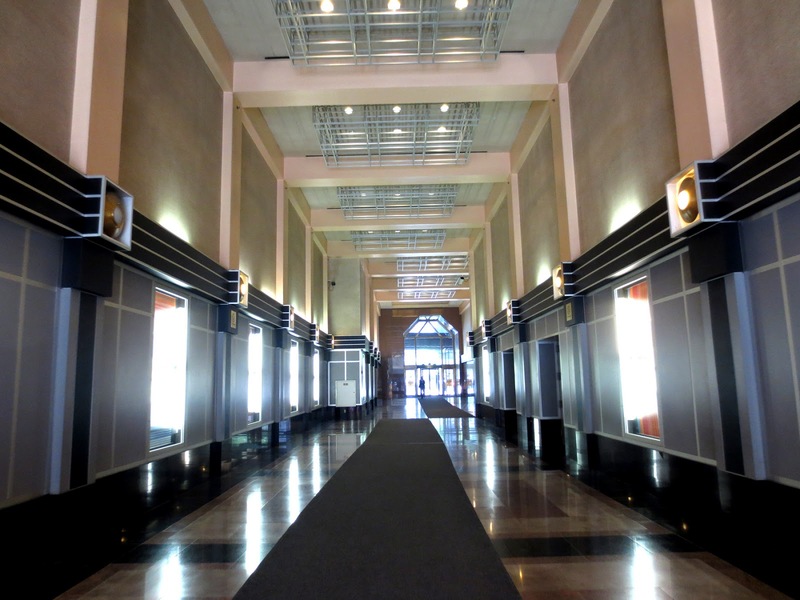 It features a pedestrian plaza surrounded by a ring of two-story red granite columns. 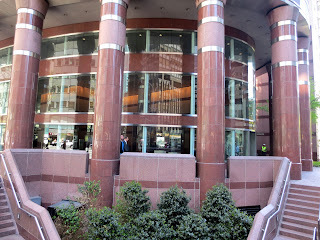 It was built in 1986 and has 34 floors. At three levels, blocks of the Lipstick Building recede as part of Manhattan's zoning regulation in which the building is required to recede within its spatial envelope, to increase the availability of light to street level. The result is a form that looks as though it could retract telescopically. As Published in NY POST, " The land under the Lipstick building is up for grabs — and could attract record pricing" The asking sale price was not disclosed. Unusual shape is one of the reasons to pay attention to this building. 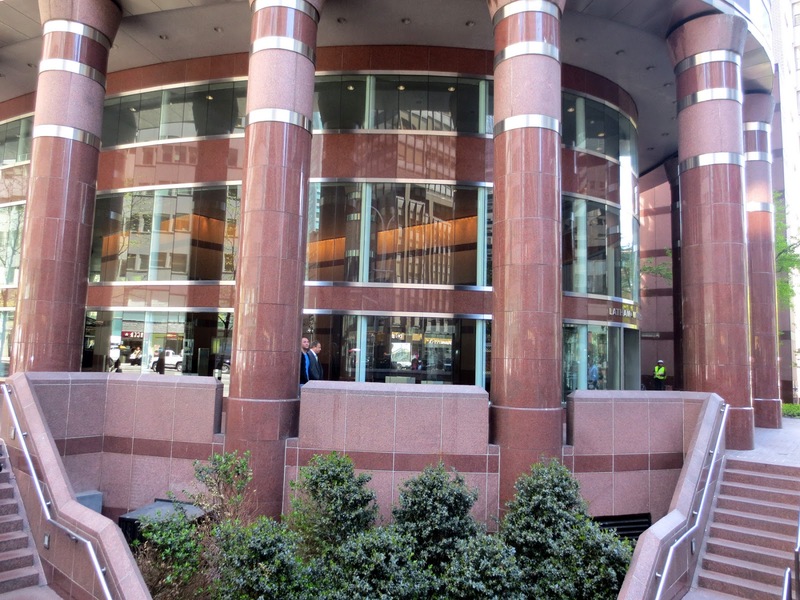 The 17th floor of this building was the epicenter of the largest Ponzi scheme in history. The Ponzi scheme generates returns for older investors by acquiring new investors and promises high rates of return with little risk to investors. These schemes collapse on when there are no more new investors. 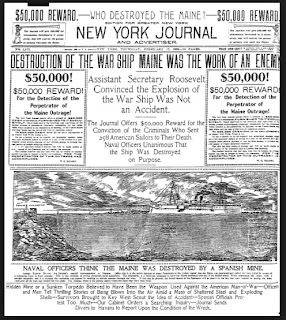 Such scheme was named after Charles Ponzi, a Italian businessmen Boston who was first to use a scheme in 1919. 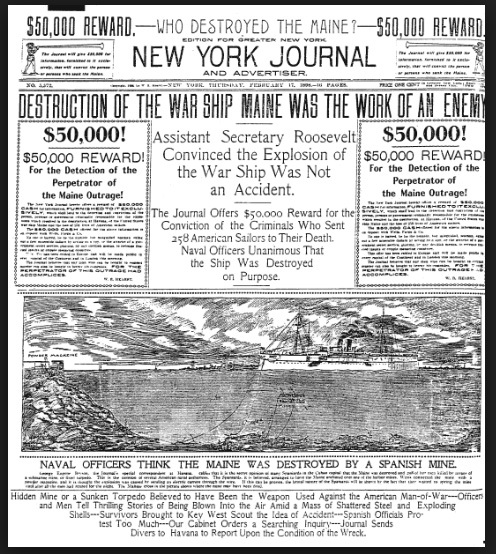 Ponzi started his own company, the "Securities Exchange Company," to promote the scheme. One of the largest Ponzi schemes in 20-th century was implemented by the Sergey Mavrodi, the founder of the Russian company МММ. Estimated by different sources of information, from 5 to 40 million people lost up to $10 billion. The MMM scandal led to increased regulation of the Russian stock market. Mavrodi was convicted of fraud in 2007 and sentenced to jail.